Figure 8.1 A fanciful map of Churchill Harbour on Hudson Bay, ca. 1624, by Jens Munck. Canada, as we have already seen, is a series of histories that sometimes intersect and collide. There is some similarity in the themes of eastern woodlands histories in part because the environment supported agriculture and other food resources to such an extent that human populations could thrive from the Saguenay south to the Carolinas, from the Gaspé west to the Plains. Physical conditions in the North — the subarctic and the Arctic — and across the parklands and Prairies to the Rocky Mountains are significantly different. They challenge human ingenuity, resourcefulness, and resilience in many ways and support a widely distributed population more easily than a concentrated, agrarian society. The multitude of lakes and marshes also sustain beaver populations in massive numbers. The Aboriginal world of the West and the North was introduced to European goods at first indirectly via trading middlemen like the Innu, the Wendat, and the Anishinaabeg. The proto-contact phase thus lasted for a century or more, much more in some instances. The arrival of the newcomers at first intensified existing practices and then led to modification and finally to outright changes. For Europeans, the North was not the passage they’d been seeking, but it was a gateway. 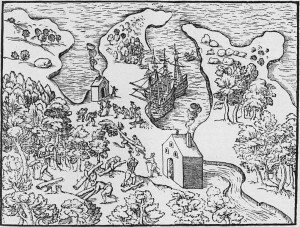 One way of reaching the interior of North America from Europe was along the St. Lawrence, but the voyage across Hudson Bay took newcomers deeper into the continent’s heart. New products and the arrival of horses transformed life in the lowlands around the bay and across the Plains. The emergence of the “new nation” — the Métis — and their neighbours the “country born” gave substance to the concept of fur trade society. The Inuit, by contrast, experienced little in the way of intrusion — cultural or physical — in these years. This chapter looks at the region not as a frontier of imperial commerce but as a hub of trade and relationships that extended outward in many directions. 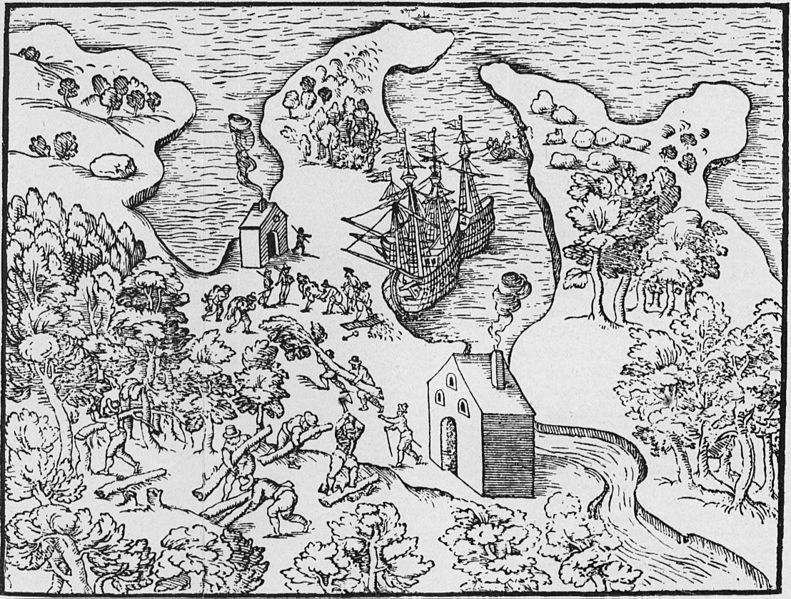 The impact of the fur trade and generations of conflict following the arrival of Europeans in the North and West is also considered. Understand the motives and methods of European and Canadian fur traders. Establish what the indigenous societies and their leaders hoped for their future and how their lives were changed by the fur trade. Become familiar with the landscape and peoples of the North and the western Plains of what becomes Canada. Identify separate British and Canadien, and combined British/Canadien commercial, social, and imperial agendas and activities in Rupert’s Land. Develop an appreciation of how the Aboriginal world across the West and the North functioned as a social and economic environment. Map of Churchill Harbour by Geo Swan is used under a CC-BY 2.0 license. 8.1 Introduction by John Douglas Belshaw is licensed under a Creative Commons Attribution 4.0 International License, except where otherwise noted.